Austria's highest court has annulled the result of the presidential election narrowly lost by the candidate of the far-right Freedom Party Norbert Hofer. 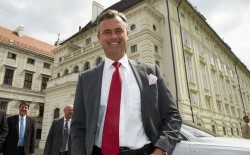 The FPÖ had challenged the result, saying that postal votes had been illegally and improperly handled. The Freedom Party candidate, Norbert Hofer, lost the election to the former leader of the Greens, Alexander Van der Bellen, by just 30,863 votes or less than one percentage point. The election will now be re-run. This article includes a total of 59 words.